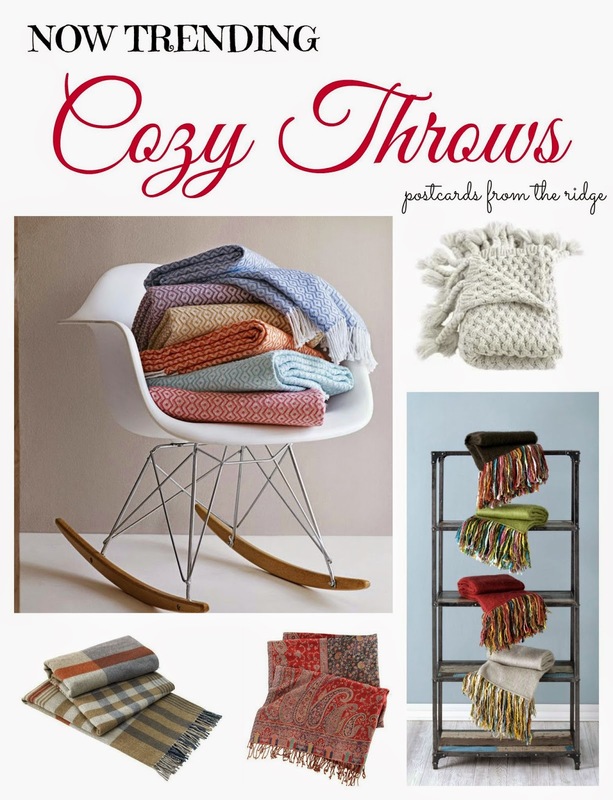 Now Trending: Cozy Throws and Pillows! Is there anything better in the winter time than snuggling under a cozy throw? Add a cup of hot cocoa, a good book, and a comfy pillow and it's total bliss! At our house there are probably a dozen throws scattered throughout the house and we stay nice and toasty through the winter. Do you want to turn up the coziness factor at your home? 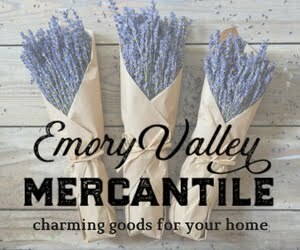 Keep reading for some great ideas and special, exclusive pre-Black Friday deals. 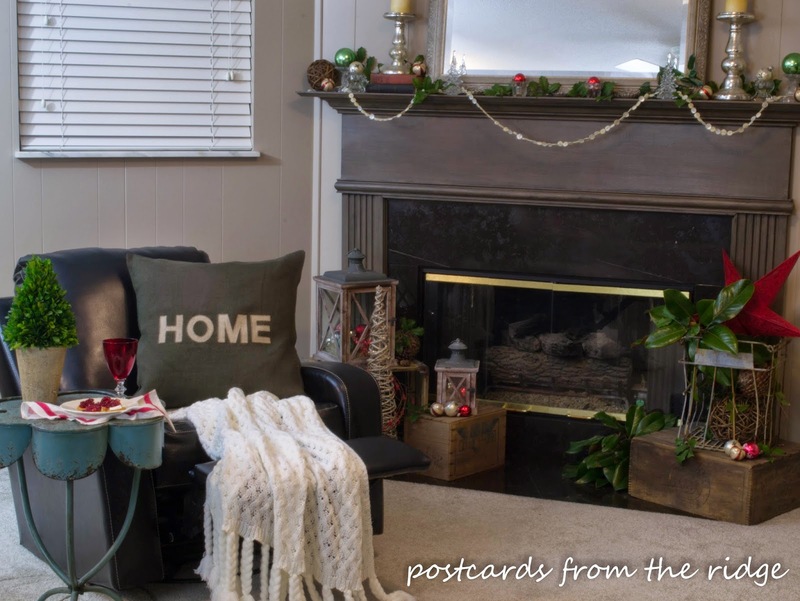 Add a nice fire in the fireplace, a glass of your favorite beverage with a tasty snack, and a warm throw and pillow make me want to sit here and not get up for a while! 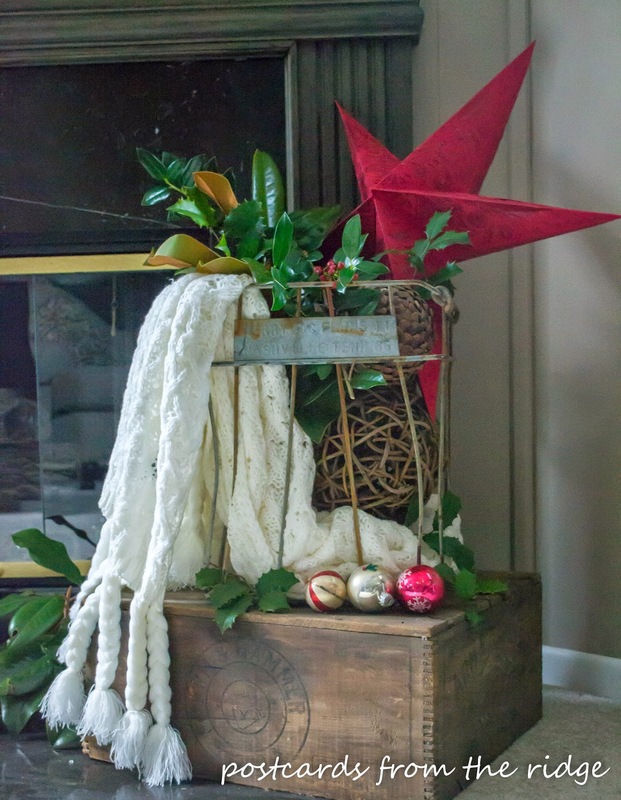 Throws also make great decor, especially a the holidays. I stuck this one in a vintage egg crate with some ornaments and greenery for a simple fireplace decoration. 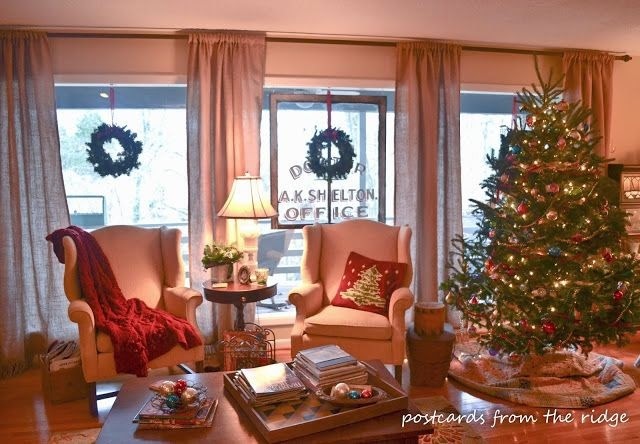 Stay tuned for more Christmas decorations in our holiday home tour that's coming up in a couple of weeks. For this throw, go here. Hot cocoa, anyone? Here I added some vintage throws for added warmth on those cold days when hot cocoa is a must. I love the texture and color it adds to the hot cocoa cart. For plaid throws similar to these, go here. 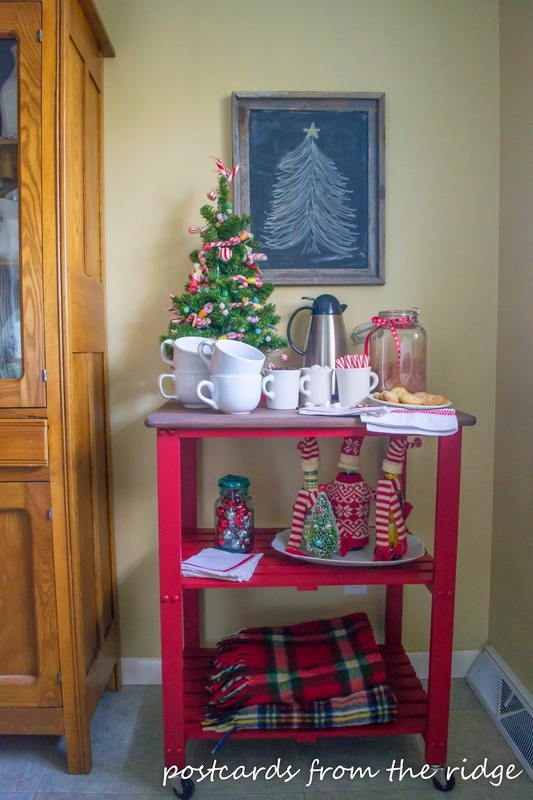 To see more of the hot cocoa cart, go here. 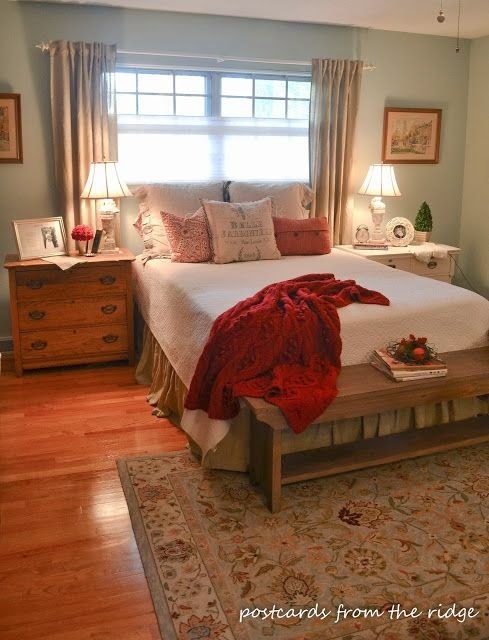 A throw draped over the end of a bed adds a nice texture and pop of color. I usually end up pulling it up over our blanket at night for a little extra warmth too. I always have a few throw pillows to add more interest to our solid colored blanket. They get changed out occasionally and are an easy way to decorate for any season. Go here to get a throw like the one above and below. At the holidays I love to sit in our living room and gaze at our tree while snuggling underneath a cozy throw. For a throw like the one on the chair, go here. 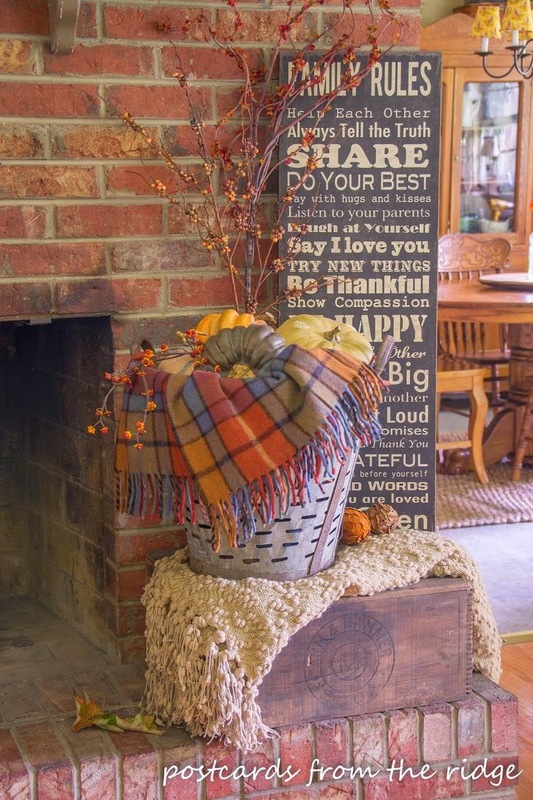 Add some fall color by using a couple of throws on the hearth for a warm and cozy feeling. I love the color and texture they add to the space and the contrast against the brick. To get this look, go here for the plaid, and here for the textured one sitting underneath the olive bucket. Summer and fall are good times to change the colors and lighten the look. Here I added a lighter blue gray throw for more subtle color. This throw can be found here. In my opinion, you can never have too many throws and throw pillows. They make it so easy to change out your decor! Below are a few of my favorites that are now on my wish list. Santa, are you paying attention? For the pillow above, go HERE. Starting at the top left and going clockwise, here are the sources for these beauties. 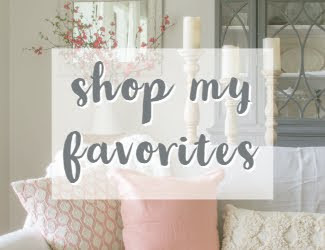 And if these aren't exactly what you're looking for, head over to Wayfair for hundreds of other options for throws, throw pillows, and poufs. 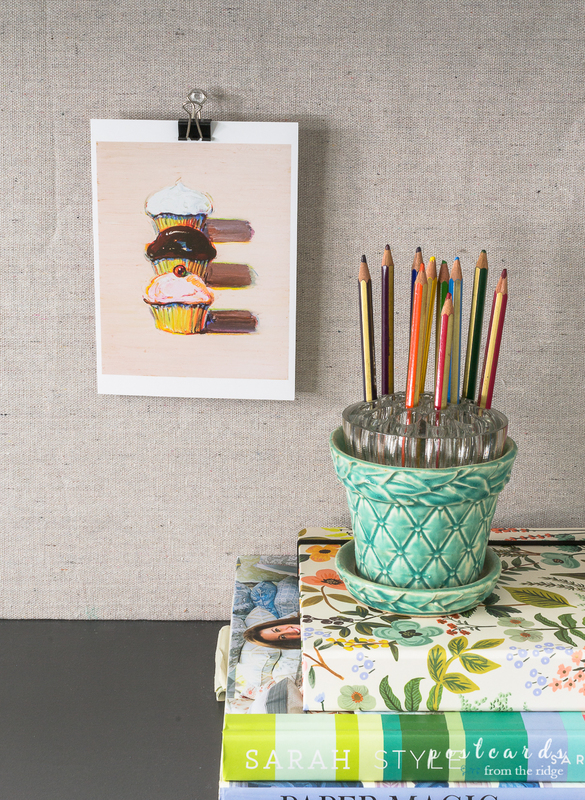 All great ways to add a little pizazz to your space. And as a special gift for you, here's an exclusive sale! 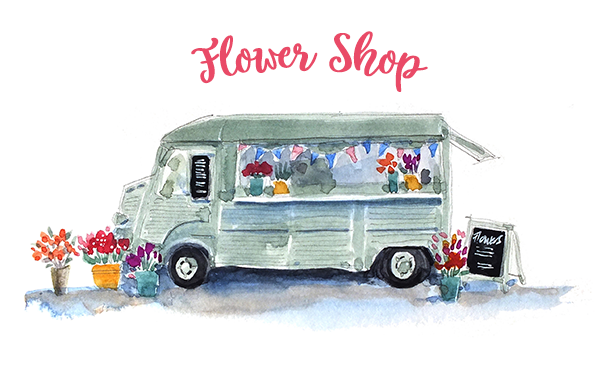 Go here to shop. Be sure to add the code at checkout. Don't miss this special, exclusive sale! Hop over and find a favorite throw for you or someone on your gift list and save a few bucks while you're there! Thanks for dropping by! May you be warm and cozy all winter long! 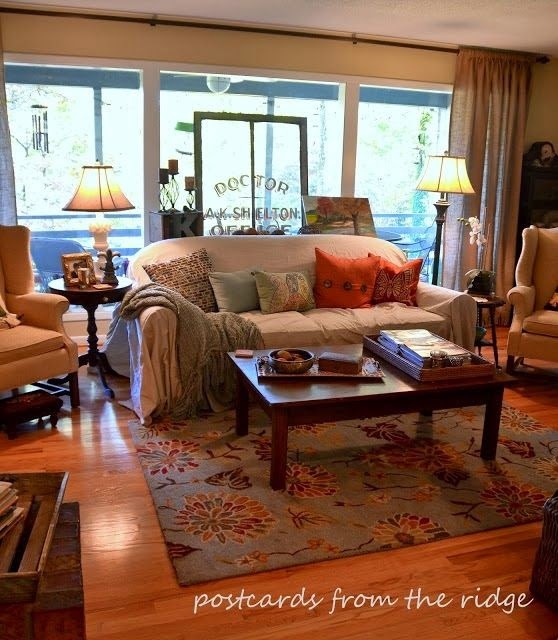 Angie-your home is beautiful and I love the throws scattered about! They look so comfy and soft. We are all about throws at the Hines house! Looks like Wayfair has a great selection. Your home is lovely and I love all the throws as well. Lovely choices! We have so many throws and use them all. If it drops below 72 degrees you will find me wrapped up in a blanket. Therefore we have throws all over our home. 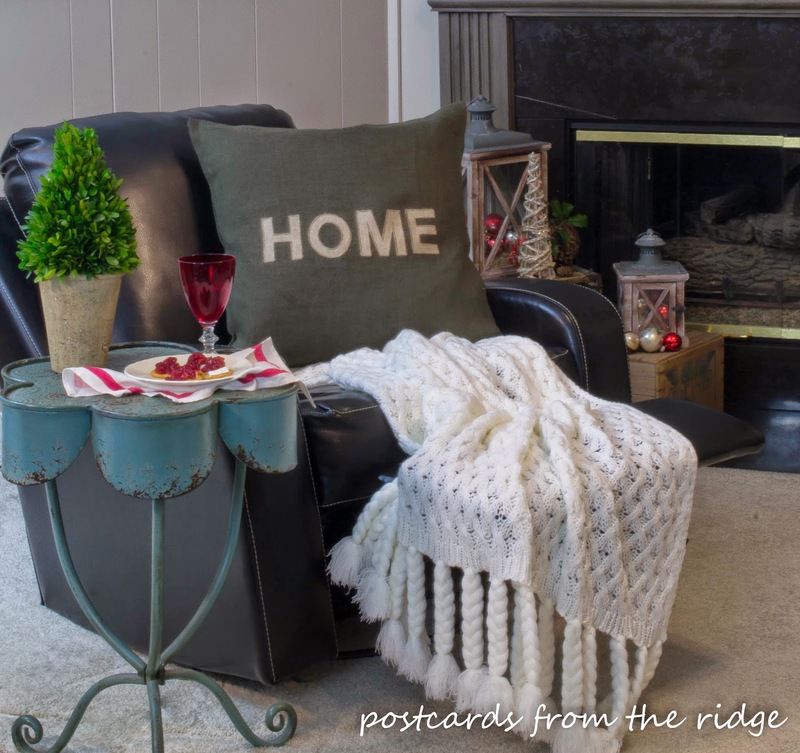 I love how they make your home feel cozy and they can add a great pop of color to your room! I have to admit, I have a bit of an addiction to throws and blankets. I have baskets of them and always want to buy more! I love a cozy throw blanket! There are some wonderful options here. Throws are a must! These look cozy and warm just like your home!